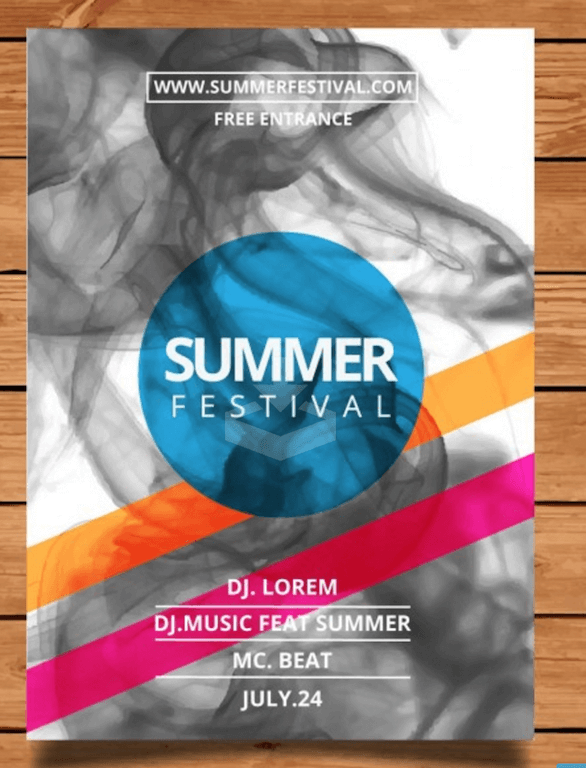 Use flyer PSD templates to create attractive flyers that will effectively promote your events, shows, parties, festivals, or any other activities. 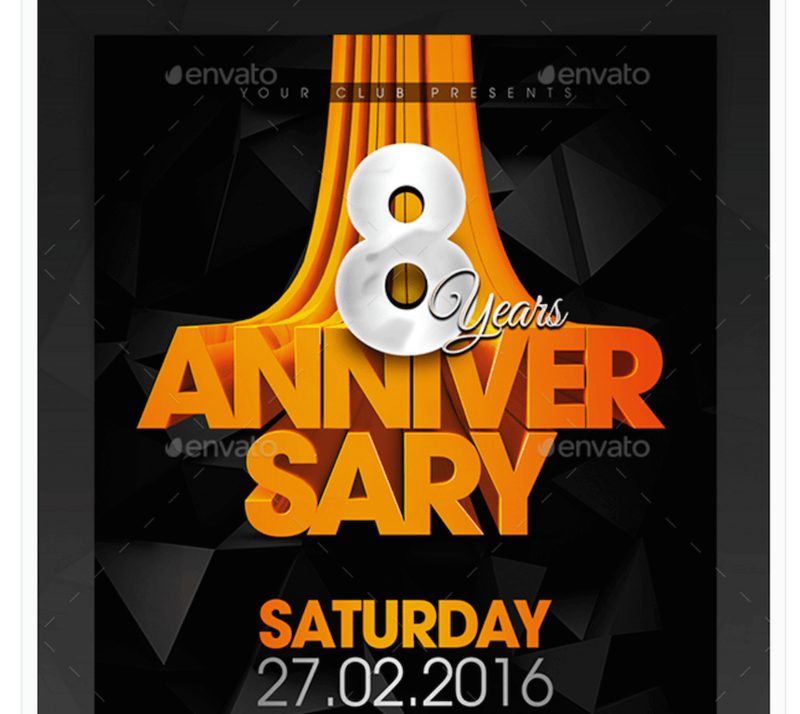 Flyers have been around since the inception of printing devices. Whether they were for wanted persons or to promote local markets, the existence of flyers dates way back. In modern days, flyers are seen on multiple occasions at a multitude of locations and places, scattered all across cities and countrysides. This proves that sometimes the only way to get the word out remains to be through a classical promotion using flyers. Small businesses, self-employed individuals, and companies doing promotions are among those that use flyers within the business industry. In the leisure and relaxation department, on the other hand, users of flyers come from a variety all fields. 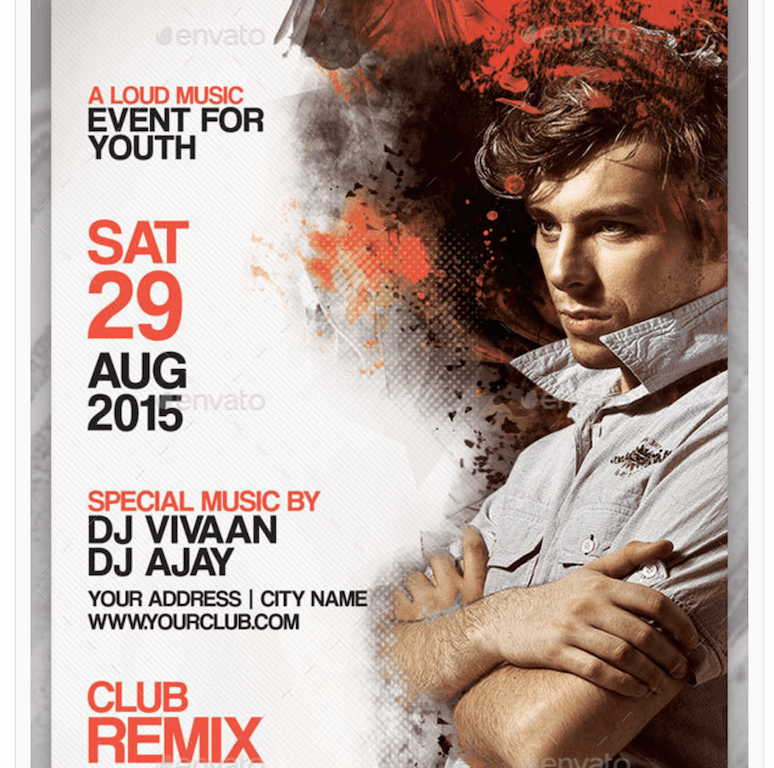 The kind of flyers is dependent on the medium you are looking to promote and on your expected end result. 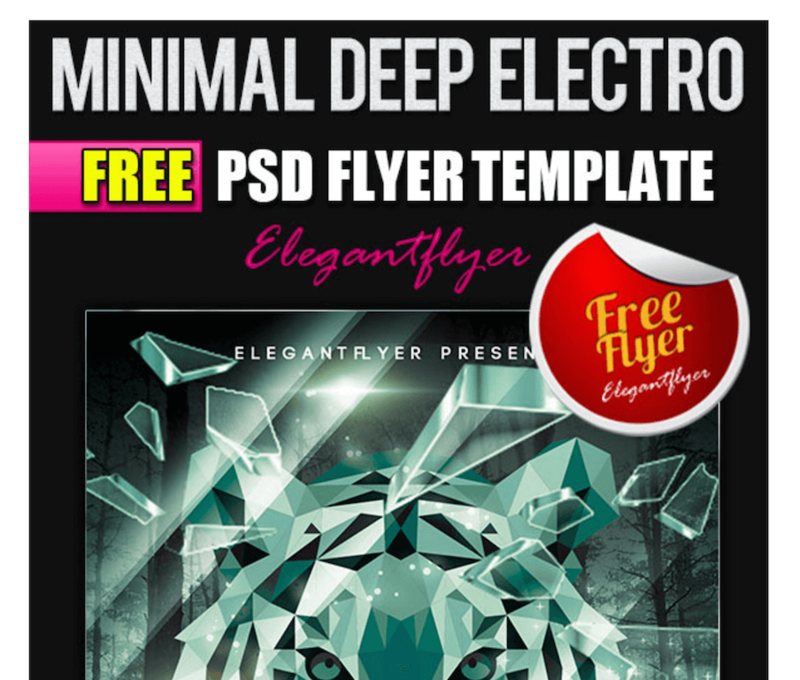 We gathered together some insightful data about flyers and used that data to archive a list of 29 unique flyer PSD templates. You can readily download and edit these templates for your purposes. You can find all the licensing information on the websites that provide the downloads. 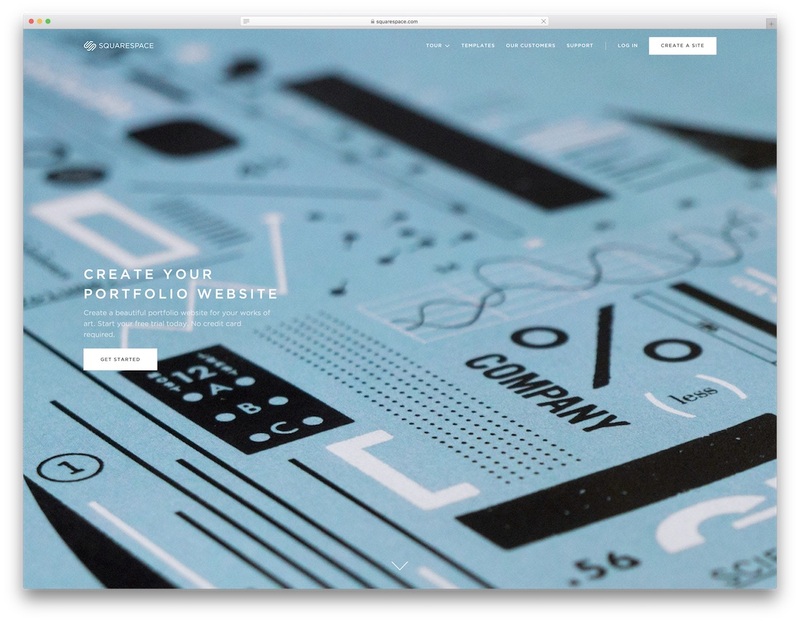 Using these designs on websites might require some mention of the original authors. 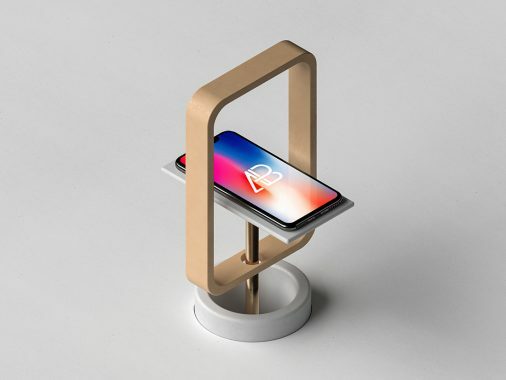 What’s really humbling about the designers who share their designs for free with other Internet users is that no piece of work is ever the same. We all know how diverse flyers can be and how many different uses they have. 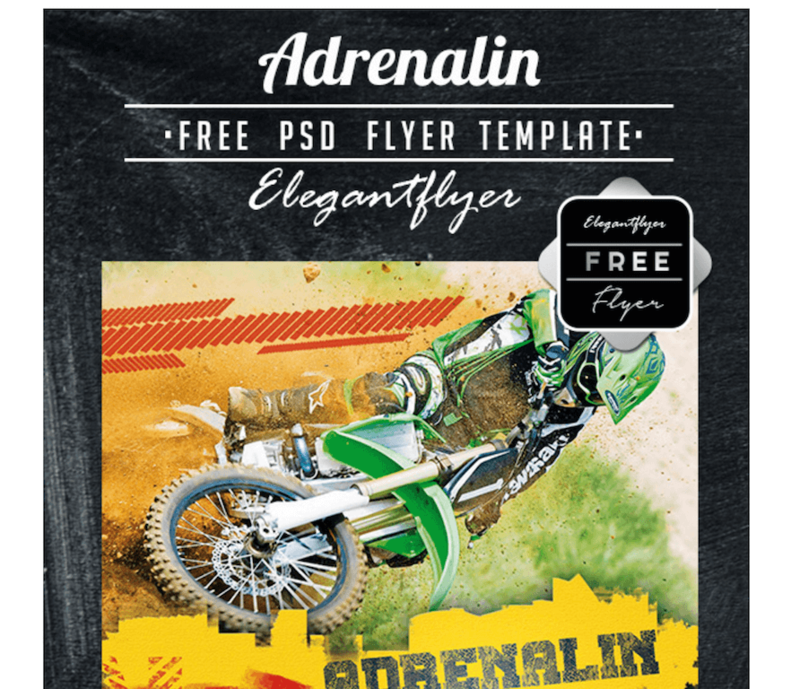 The Adrenalin flyer for sports events is a good example of how designers can choose to create content that is tailored to a particular niche and, at the same time, super useful to the people who are working within those industries. In this case, the flyer will benefit those who are in charge of marketing an event that involves cars, bikes, and racing, in general. We got here a flyer for the spring season. The first thing that stands out is the beautiful girl with all her natural appeal, inviting everyone to look at her and perhaps even notice the actual flyer. The background is a colorful combination of colors, flowers, and other party-related items to get the look of a spring party. The template also has plenty of room for the event details, your contact details, your website, and the ticket price. For the printout, you can have it on any size. If you don’t like using images of hot girls to promote your spring party, here is a fresher spring party flyer. This one uses a simple design of yellow and green instead of strong visual content. It allows you to advertise a more modest party, perhaps one in the neighborhood. 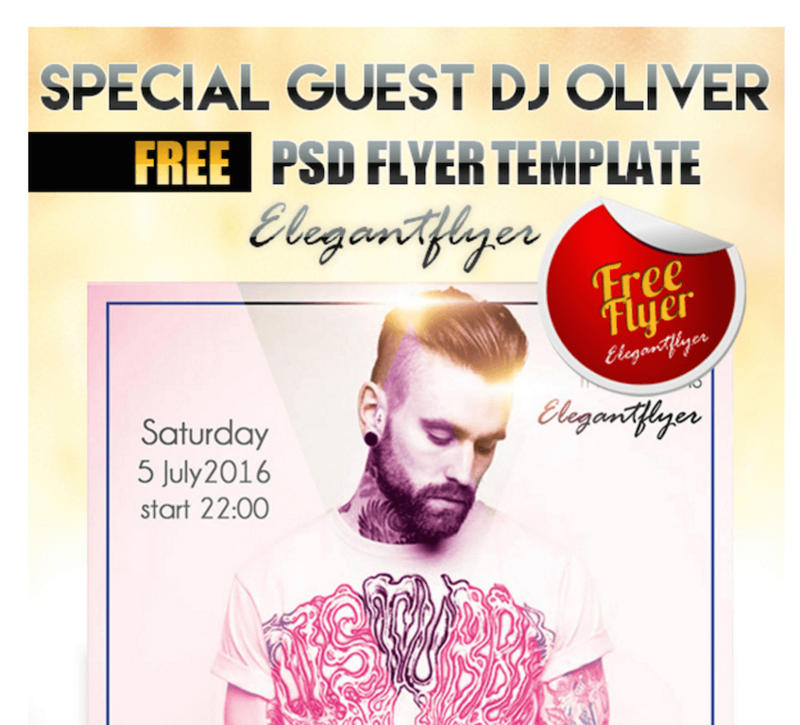 The flyer package has PSDs available in different colors. An elegant city vibe is strong in this flyer. The background picture features a city of high rises with an elegant shade. It will best work for cocktail nights or special guest nights. 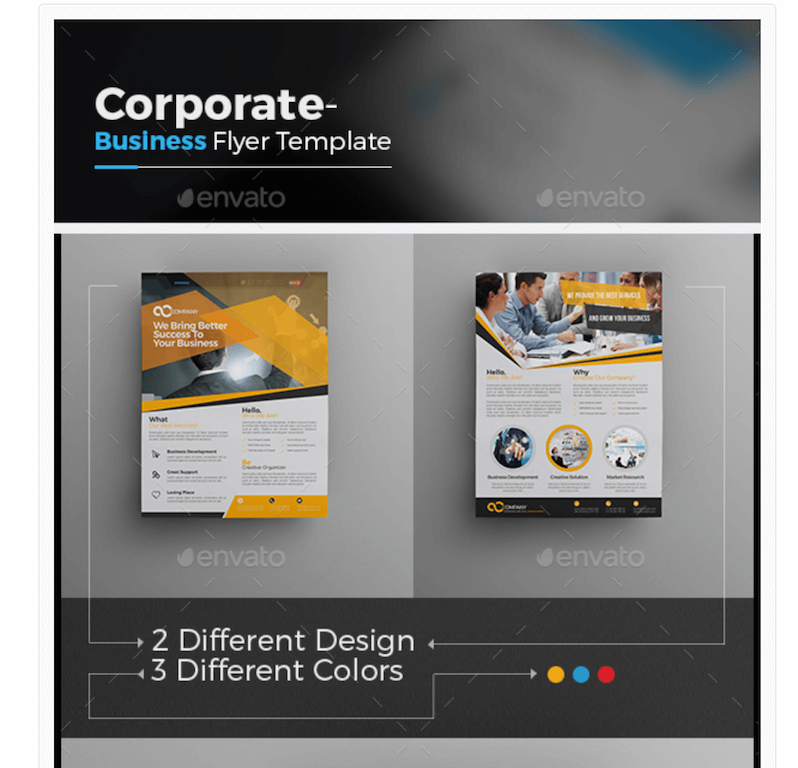 With this fully-layered flyer, it will be easy to change color schemes or even the default background picture to something that’s more suitable to your needs. 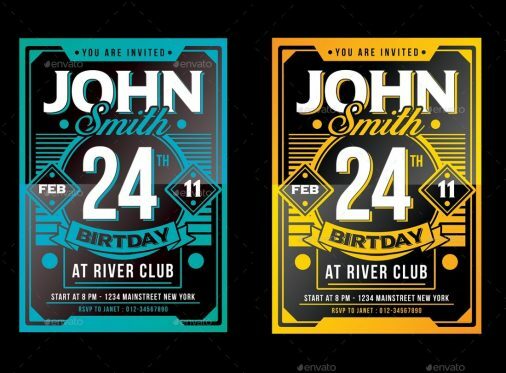 Party flyers are all over the place, but that isn’t the only reason people use flyers. Any event can utilize a flyer, even sales at your local supermarket or a clearance sale at a fashion-style supermarket. 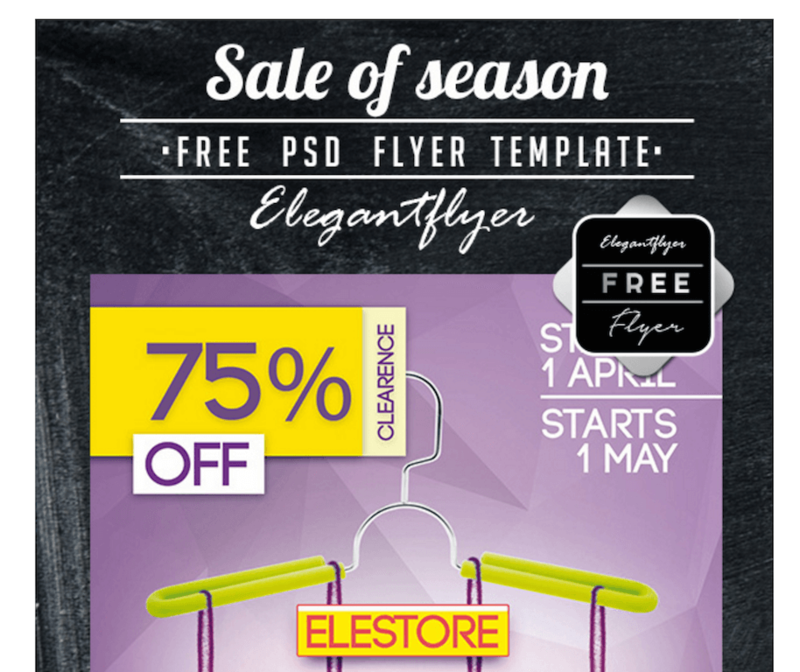 Whatever the case, we recommend for you a flyer that can help with some seasonal sale promotions. Whether you choose to put it up only at your store is up to you. 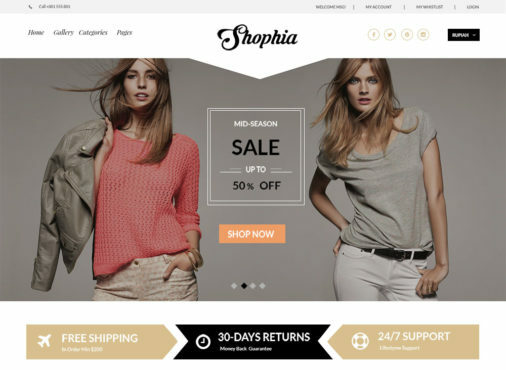 The design is PSD, so you can also transform it for use in your web design. Watching rap battles is an exciting way to spend an evening. Learn some new creative tricks, meet new people, express yourself freely, and maybe even make a couple of friends as the night progresses. 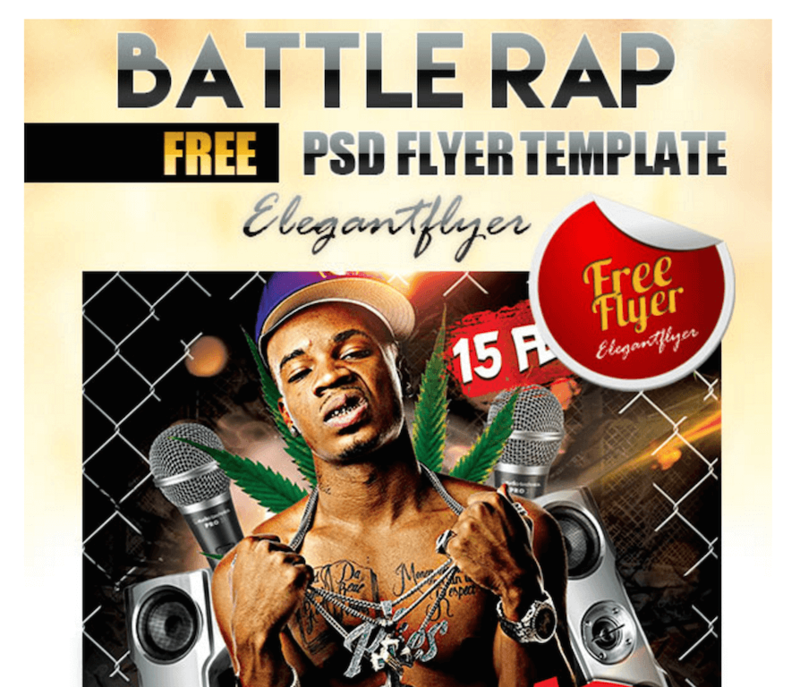 This flyer is for creative-minded individuals who love to promote rap battles. If you are a contender in some of these, this flyer is also for you. The design has all the necessary elements and visuals that represent the rap industry. Each year, party-loving people celebrate summer in different ways. Some love to immerse in the experience of what was achieved, what was seen, and how much you’d have grown during that time. The Goodbye Party flyer says it all. It’s a flyer for last summer parties. This one has an exotic vibe, with a sunset overlooking a palm tree. Wonderful stuff! Electro parties are all about flash, neon lights, and deep artistic visuals that make the dance floor come alive in its own special way, a way that only the most revered electro fans would understand. 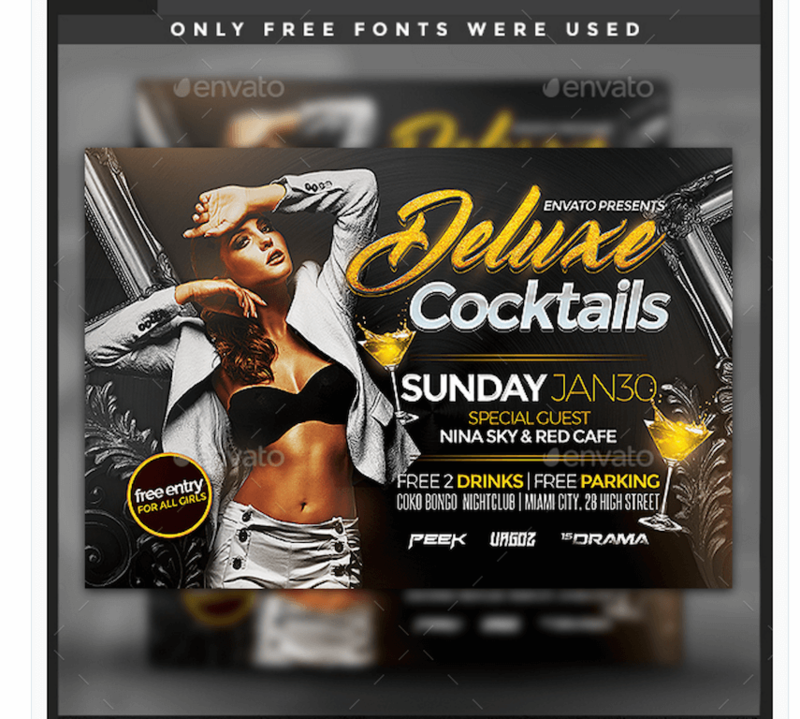 This flyer uses all of those concepts within a single flyer that will surely attract the right crowd to the party you’re hosting. As it stands, the flyer name implies a specific genre of music, but seriously though.. as much as it will work for electro, it will also for work house and dub parties just as well. Sports are amongst the most popular kind of events where a flyer is used to advertise, and games like basketball are no exception. Looking to help to promote the next basketball match in town? Perhaps you’re supporting a local team? 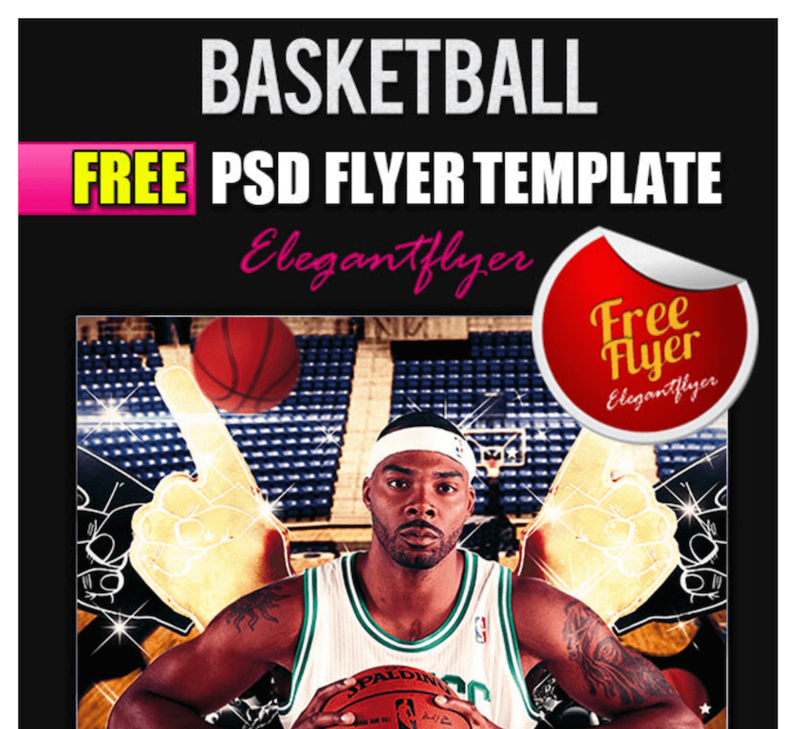 The Basketball Flyer’s design is fit enough to advertise individual basketball games, and also tournaments. Cruises need flyers too! Everyone does. 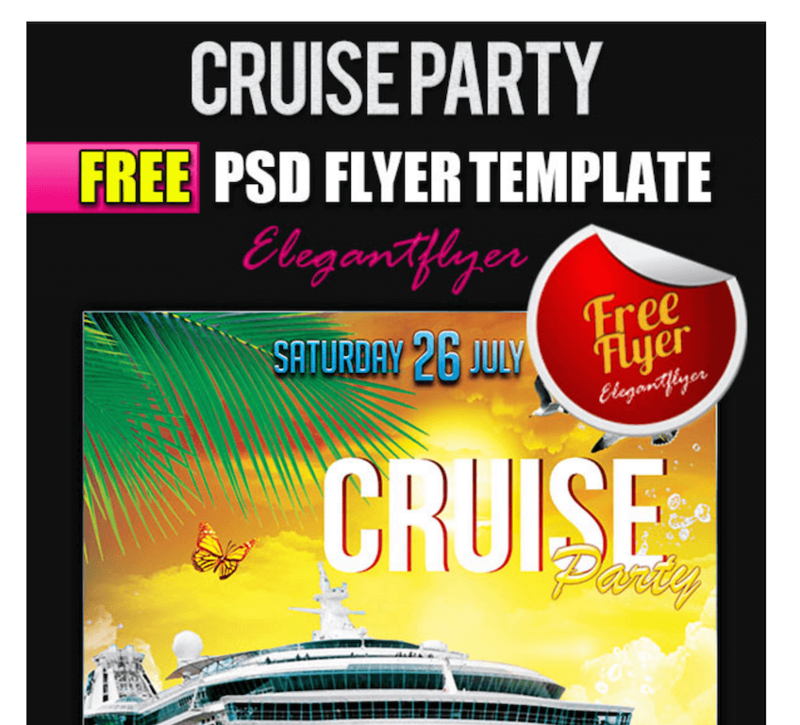 If you happen to be marketing out a new cruise, you will love this amazing flyer PSD that’s going to take care of attracting and luring in the right kind of people for your exciting and adventurous offer. We can almost see that this one has been specifically crafted to match the needs of cruise parties somewhere on tropical islands, or at least somewhere where it is really hot. And the party doesn’t have to be a week-long cruise either, it could be a one-night-stand with a special DJ guest or something along the lines of that. Speaking of special guests, all good party clubs tend to host some special guests from time to time, and why not give them the publicity and exposure that they deserve by doing marketing and promotion the right way, and putting their picture all over the flyer? 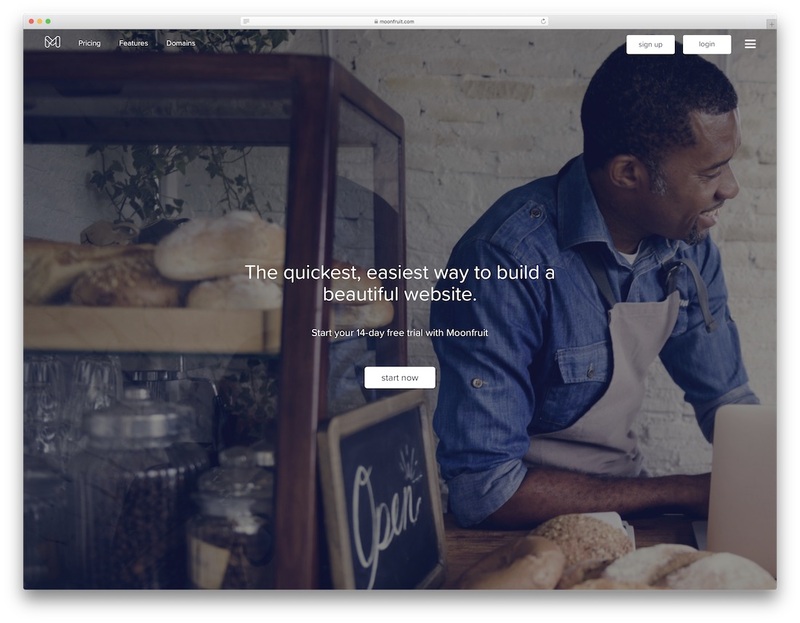 This is exactly what this minimal and elegant looking flyer is going to help you with. There’s a separate layer that only consists of the person who is considered the special guest, you can quickly swap the demo person for your own special guest and whola — an exciting and really cool looking flyer is born! People love to get a little tipsy on St. Patrick’s Day, we know that from experience! 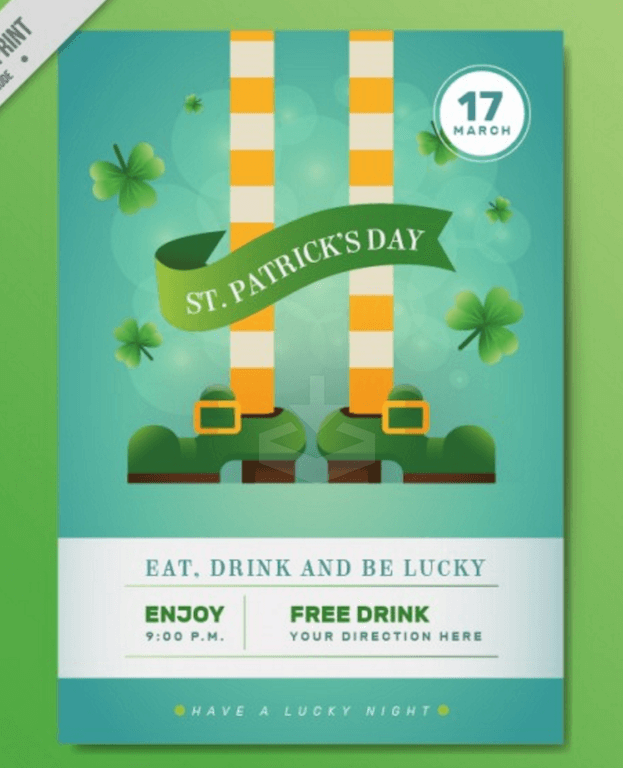 If you’re a local pub or bar owner, and happen to do some special offers during the St. Patrick’s Day, you will greatly benefit from using the above flyer to promote your offers. Traditional green color scheme is used, with plenty of room to mention your special offers for the wonderful night ahead. Yoga teachers and yoga studios also have to find ways to advertise. Visit an island such as Bali, Indonesia — you will quickly notice how many flyers can be found in restaurants and cafes from both individuals, and studios that are looking to attract more students to their yoga classes. 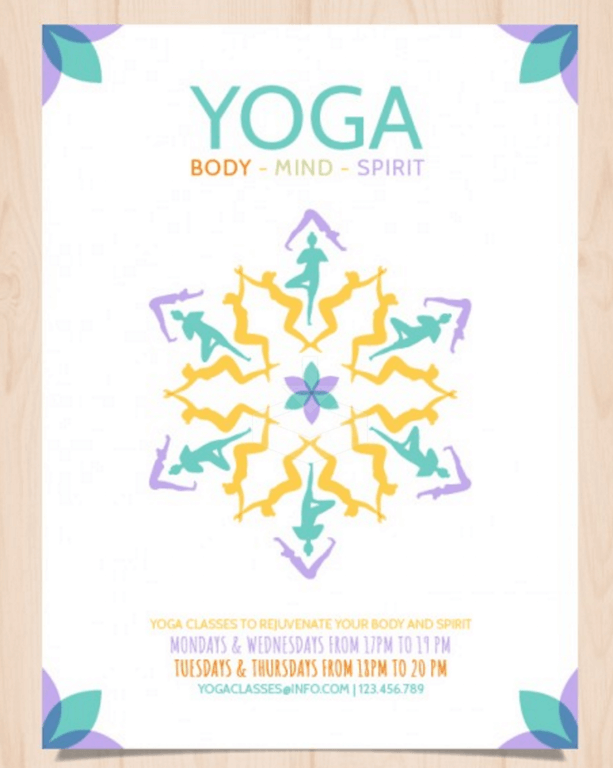 The first yoga flyer we have on display is going to best suit individual yoga teachers who aren’t looking to invest a lot of budget in a flyer, but still want that yoga-feel to their promotional material. We think this flyer looks great, and will do a great job at attracting the right students to your classes. 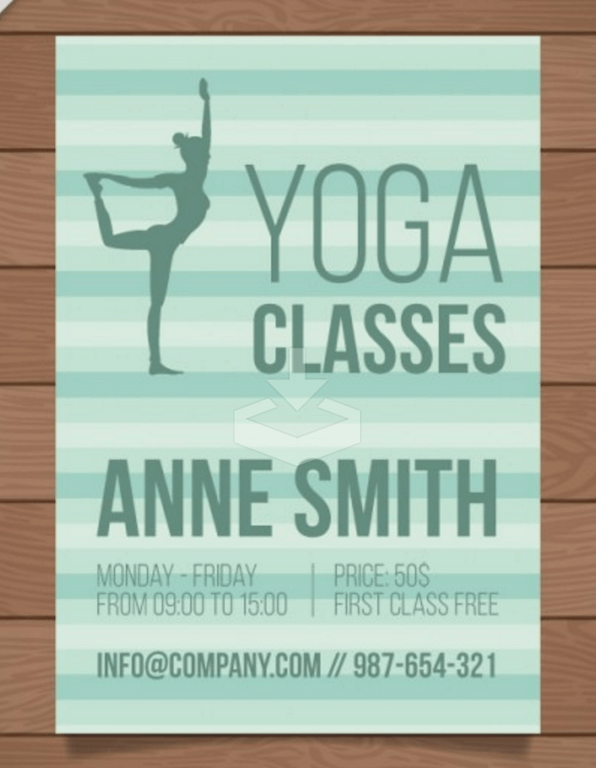 But, if you’re running more of a company oriented yoga studio, then perhaps you should look into this lightweight, minimal, yet brightly colorful flyer template that allows to mention a slogan of your studio, a personal logo, and also class information and contact information to let students reach out. It’s definitely a combination of design elements that will stand out even in the most dim of restaurants around. A wonderful party flyer that uses a special effect ‘smokey’ — a smoke-effect that roams through the flyer, making for a more distinct appeal towards the flyer. All the information elements are kept rather lightweight, with the focus on the location of the party, and the start of it. 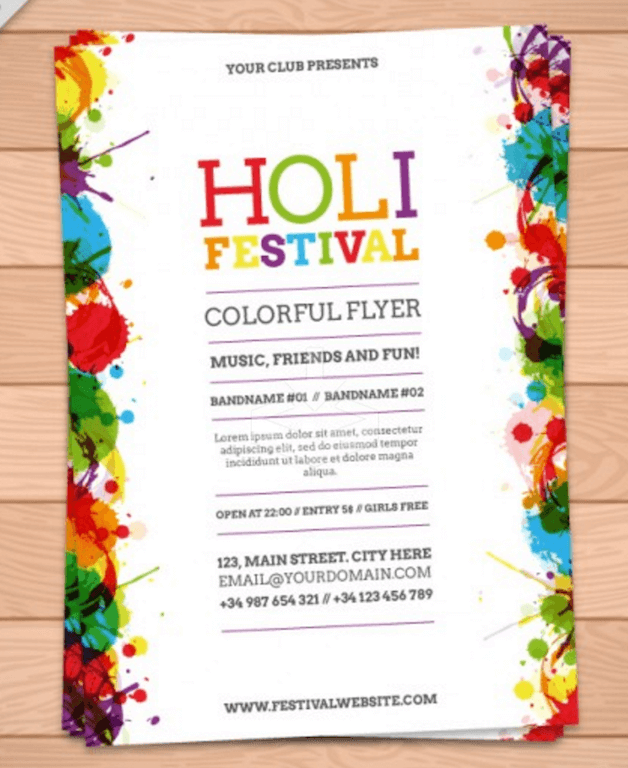 If running festivals is more of your thing, then you will absolutely adore the Holi Festival flyer. It’s a colorful combination of flowers and colors within the sidebars of the flyer, and a ton of creative writing space within the middle of the flyer to discuss the festival’s name, agenda, attendees, what to expect, and contact details. 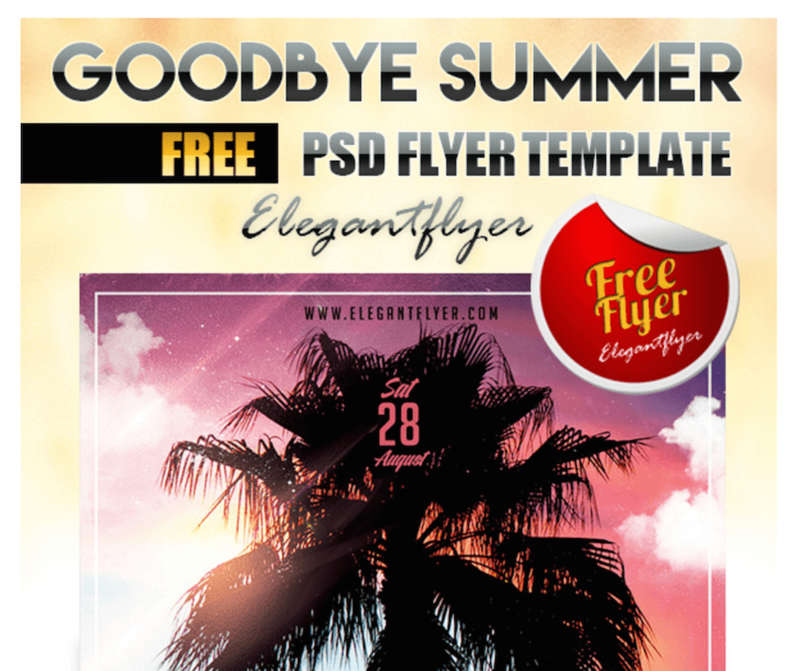 Stop wasting so much money on hiring ‘professional’ designers, and just grab a copy of this free PSD flyer template. Does premium absolutely guarantee a much better quality design? Not always, although many would say that majority of the time it does. We are somewhere in the middle for saying what is better in which case. But we do like to talk about offers available in the premium market, since they usually tend to be very specific and built for very good reasons (people don’t build premium stuff they have to live off, just because they feel it would be cool, more often than not it comes down to what people are looking for), so sometimes it’s possible to find some really great designs and design ideas within the context of what you’re actually seeking at that time. The price for these premium flyers is affordable, reasonable we would say. 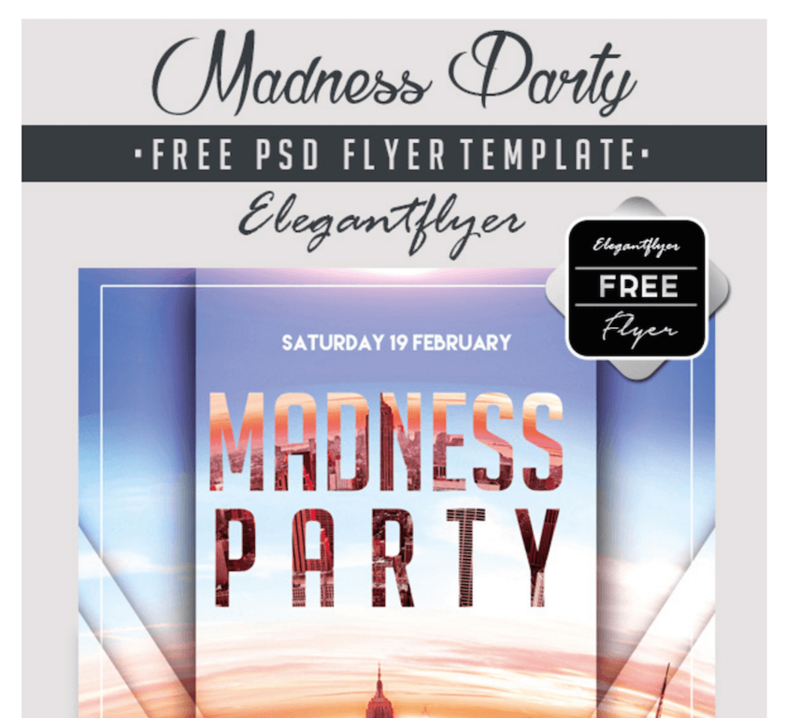 Admittedly, quite a few of the premium flyers are for parties alone, but we have included some special and not so common flyers in the list, just in case you or a friend of yours might need them. 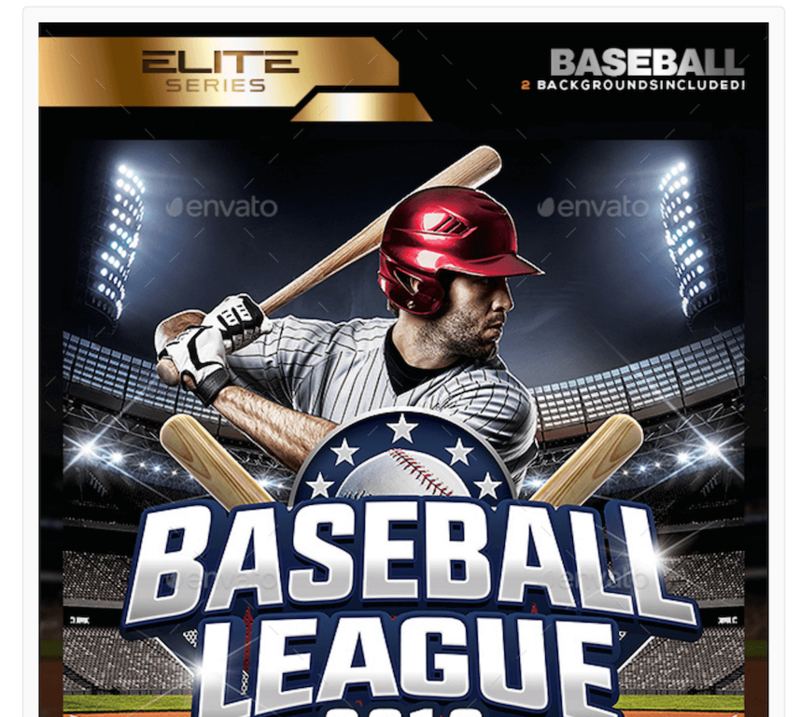 Baseball is a big deal in America, and so when advertising for a new game, it’s best to try and go all out with the flyer design, to really capture the essence of both teams and what is at stake. The above flyer is a mesmerizing example of how design can work in the favor of something like a baseball game. Keep in mind though, the picture of the person in the flyer is not included and you will need to add your own player as per the games that are being played. Some more tropical party action for you! This time, the name of the event is covered by tropical flowers and plants that creates a new experience as far as tropical flyers go! 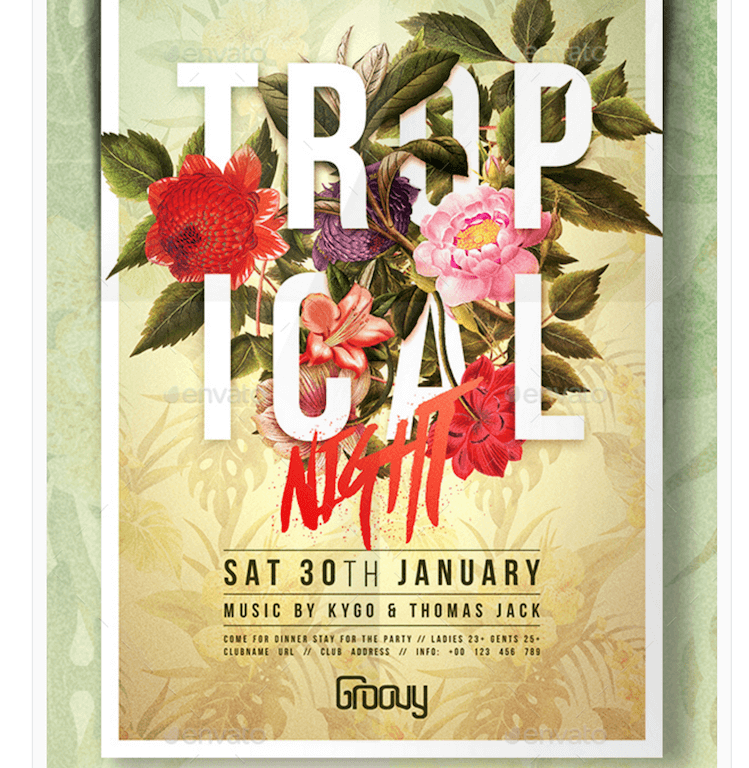 The package for this flyer also includes a fully usable Facebook Cover that’s built on the foundation of the same tropical design. The quality is intensely crisp, and will come out looking amazing on print. Las Vegas, New York, Los Angeles, it doesn’t matter — this deluxe flyer is for deluxe party nights, more specifically — deluxe cocktail nights. The design is sophisticated, but remains concise in its end goal, to let you know about the party, what it offers, and where to find it. Read for print, this PSD is layered extensively, allowing you to change things up as you please. What about some real 3D effects in your flyers, sure, no problem! Anyhow, here’s a flyer for promoting anniversaries. 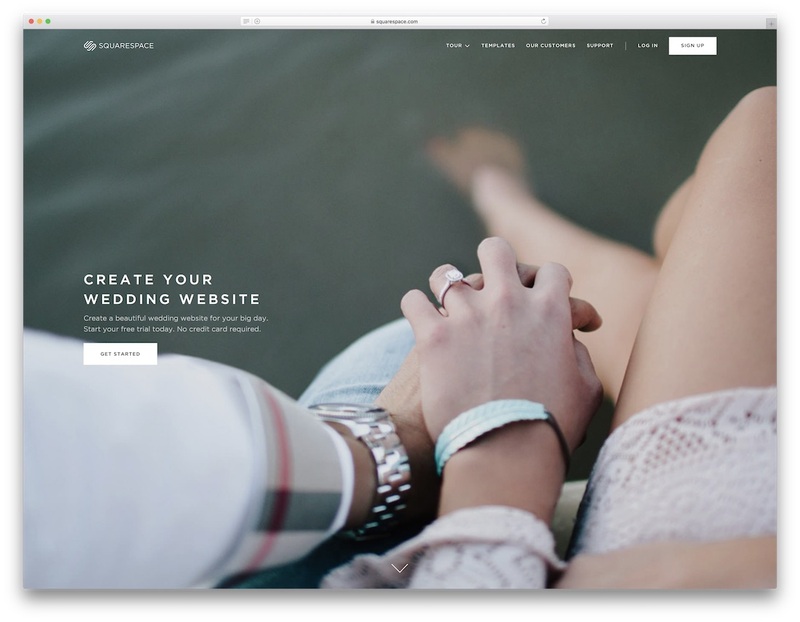 Be it school reunions, wedding anniversaries, anything, the template is built with multi-purpose in mind, so you can adjust it to be useful in any of those situations, or situations outside of those. Just remember that the big 3D title ‘Anniversary’ cannot be modified (edited), but everything else is layered and editable. 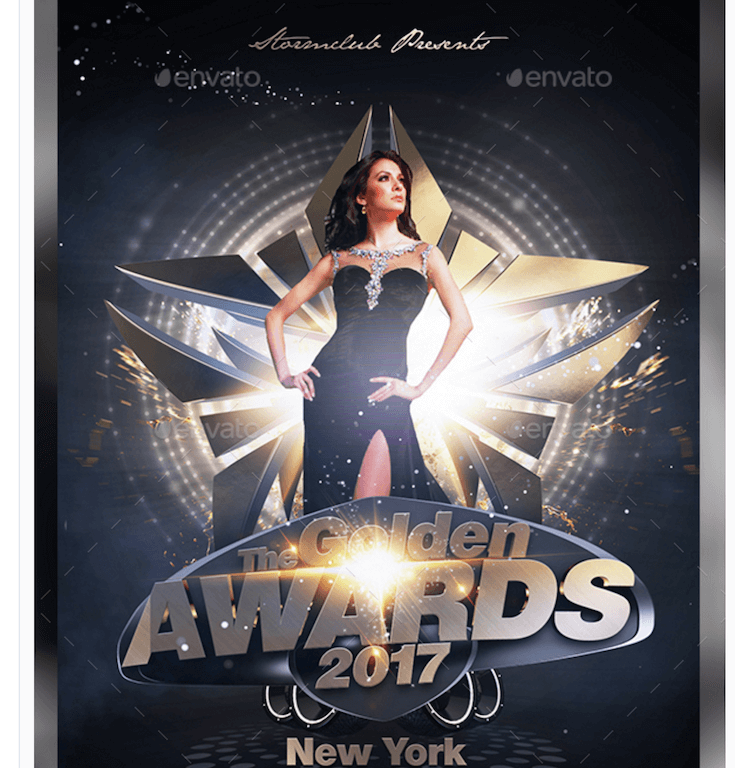 Whether you’re looking to host a closed school award, or a full-on awards even for a local community in New York, the flyer will do an excellent job at getting the message across, whilst maintaining that prestigious look to it. Parties don’t always need to have extended flyers, especially if you’re welcoming any special guest artists. In that case, a simple photo of the artist is sufficient to attract a crowd, and of course fans. The flyer is split in two parts, the left sidebar for all the information about the event, and the right sidebar for a photo of the artist who is playing, and in the middle there are color mixes happening that make the flyer feel minimal, but also very appealing and modern. As we said, there’d be some surprises, and this is one of them. 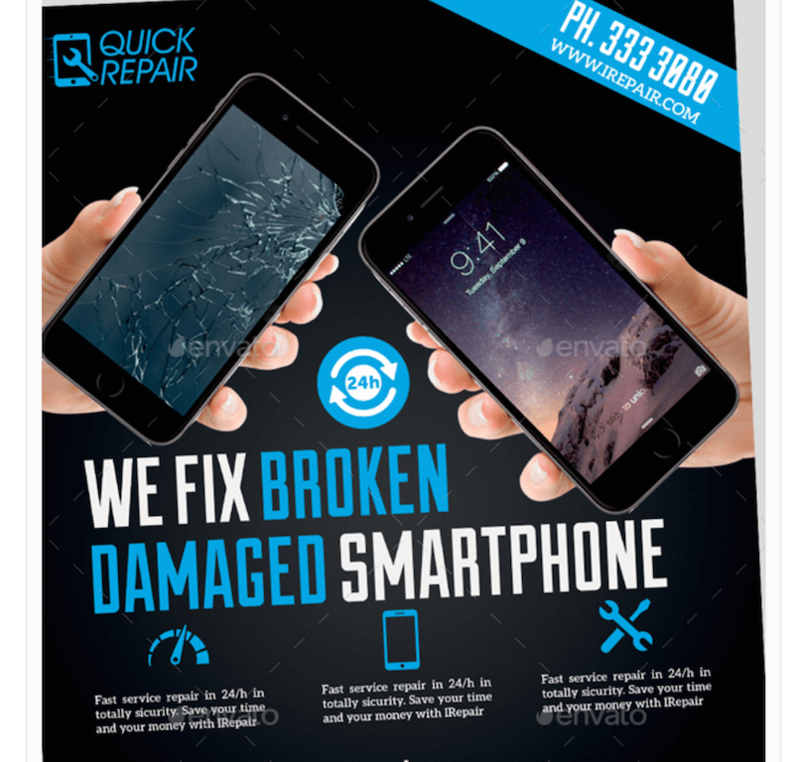 A very niche flyer for those who are into smartphone repairs, or would like to get into theme. 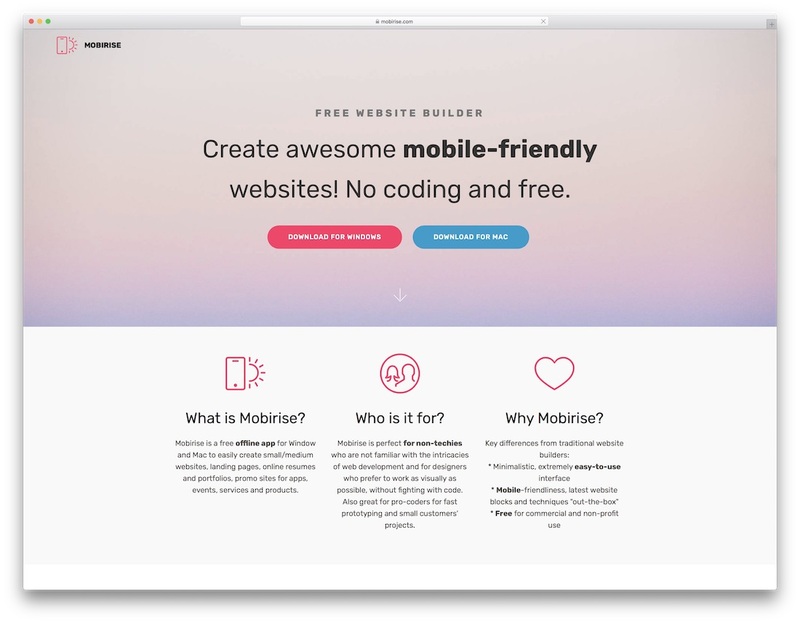 The flyer isn’t of course limited to just smartphones, with some little editing you can make the flyer to say that you do more than just smartphone work, perhaps computer, and other technological devices that you have understanding of. We love that the flyer is built in such a way that you can discuss your services in detail, and also what exactly you can repair. Corporate advertisements are coming to a flyer near you! Ha, we kid. 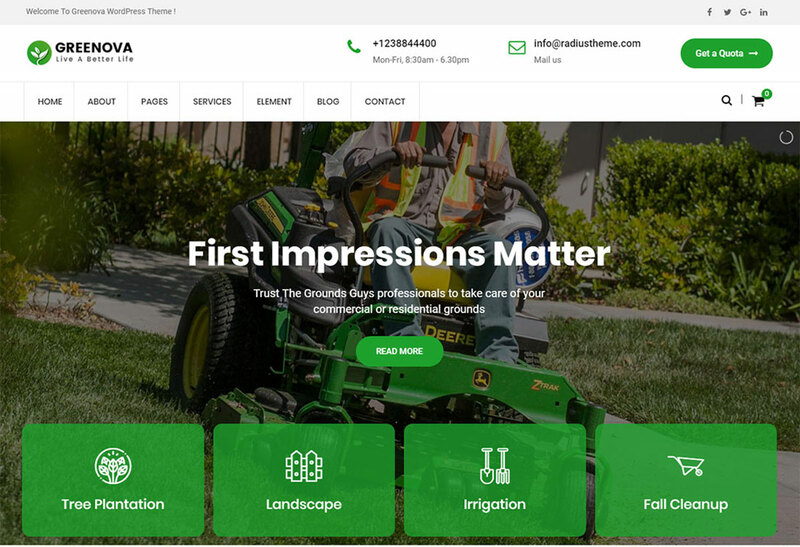 But seriously though, a corporate flyer for business large and small that helps to discuss all aspects of your business could just be what your business / corporation needs to begin luring in more clients from remote places, places where digital advertisements aren’t as big of a thing yet. 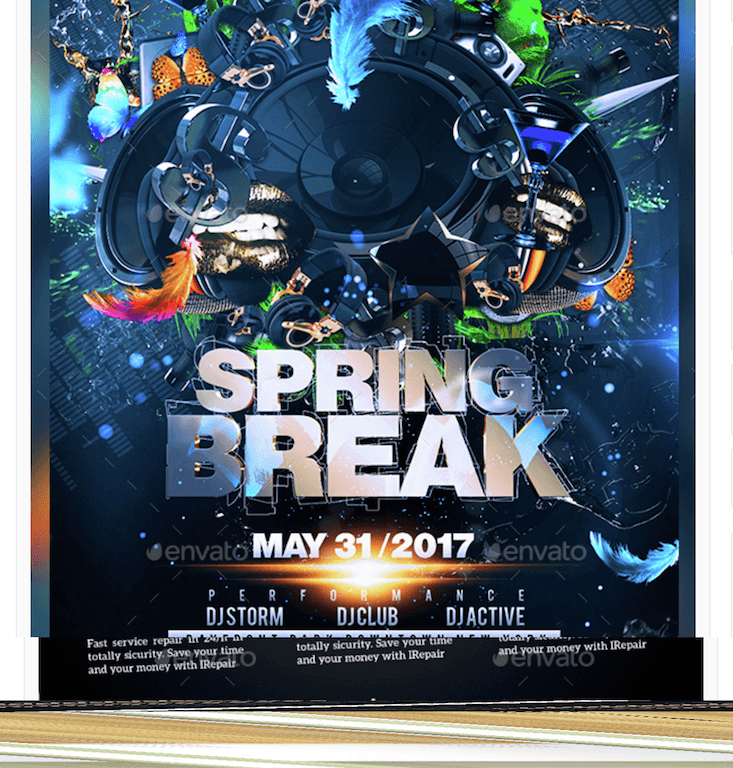 Perhaps the most creative, and the most explosive flyer of them all in this list, we have got the Creative Spring Break Flyer from Stormclub. An execution of creativity, music elements, colors, and contrast to make a statement that your Spring Party is going to be where its at, and it’s best if everyone comes! Plenty of room to promote the attending DJs and other event / party information. 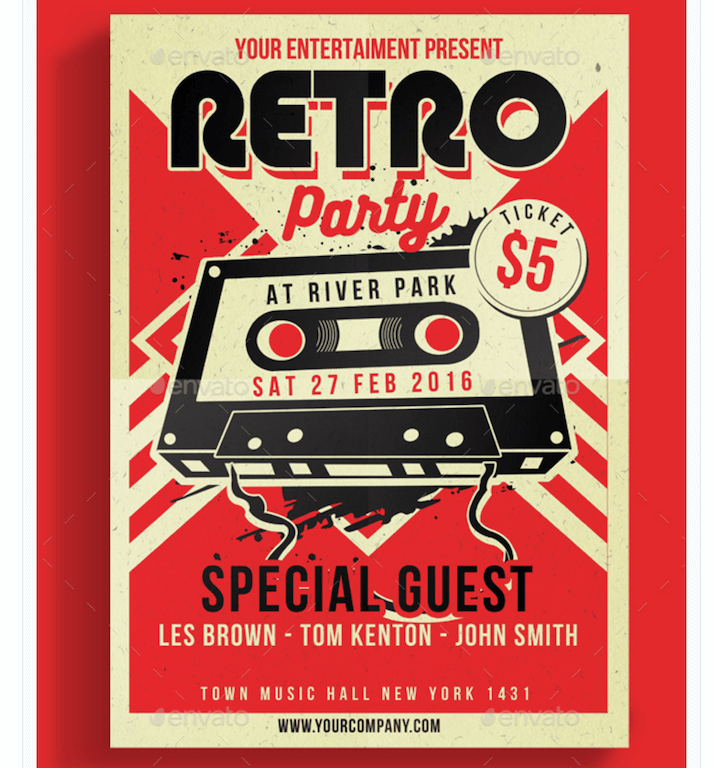 Lastly we have another Retro design, this time not for bands but for parties. 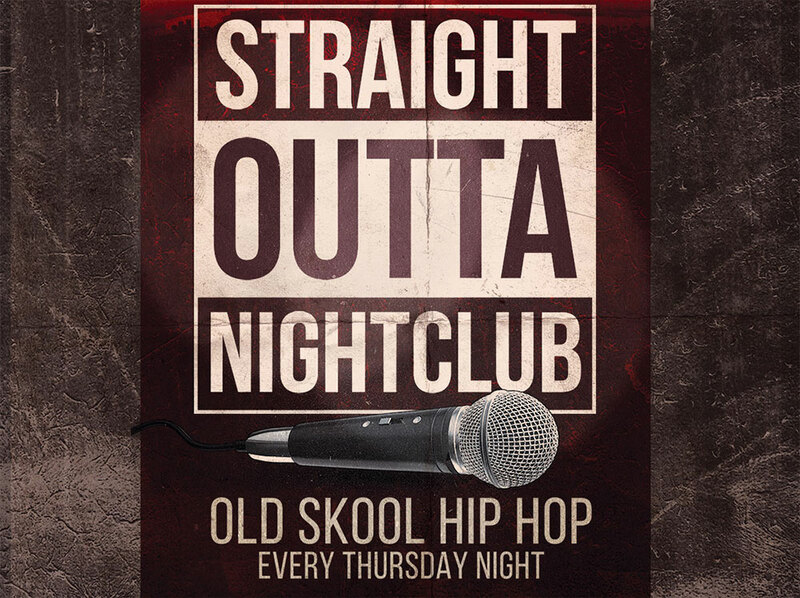 A well-perfected retro design that would actually work well in situations where a classical author is performing, but also a hip-hop artists thanks to the use of a cassette as the main theme of the flyer. Really neat stuff! 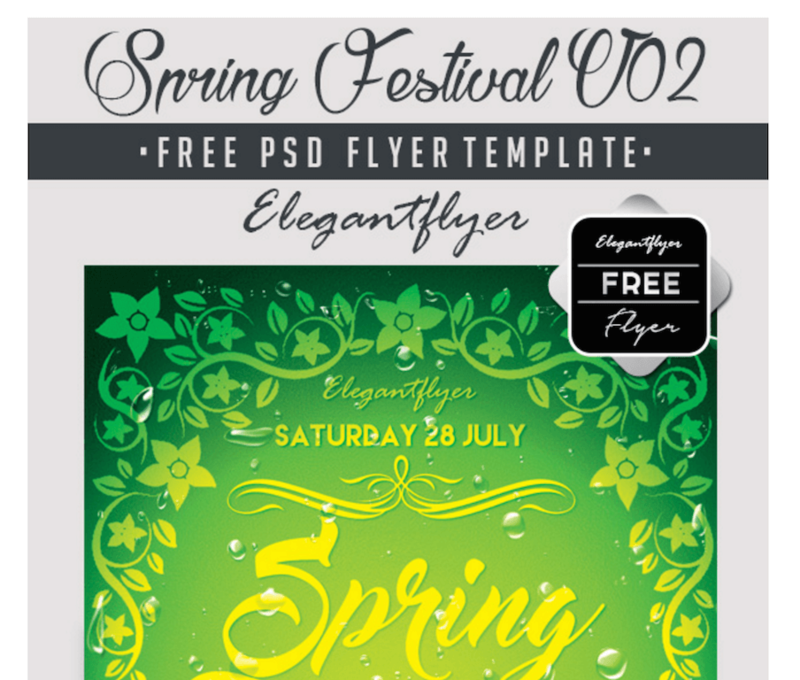 Just read your post about PSD flyer Templates collections and It is very useful- Thank you, and keep up the great work! Good one! Flyers are used by organisations to promote their creation or service. Thnks for the post.